The Batman universe features great and colourful characters, such as the Penguin, Two-Face and of course everyone’s favourite villain in a clown’s attire, the Joker. But if you played the previous game in the series, Batman: Arkham City, then you know that sadly the Joker won’t appear in this instalment. But Batman will still have to contend with his crazy sidekick Harley Quinn and traditional enemies such as Penguin and the schizophrenic villain Two-Face. In Batman: Arkham Knight, they will be led by the Scarecrow, who takes centre stage this time and plans to take over Gotham City and put an end to Batman once and for all. Fortunately Batman won’t be facing his adversaries alone, and he will be aided by the likes of Catwoman, Robin, Nightwing and Azrael. And these characters will be brought to life by a team of talented voice actors, with Kevin Conroy reprising his Batman role, Jonathan Banks of “Breaking Bad” playing Commissioner Gordon and well-known voice-over actress Tara Strong playing Harley Quinn again. 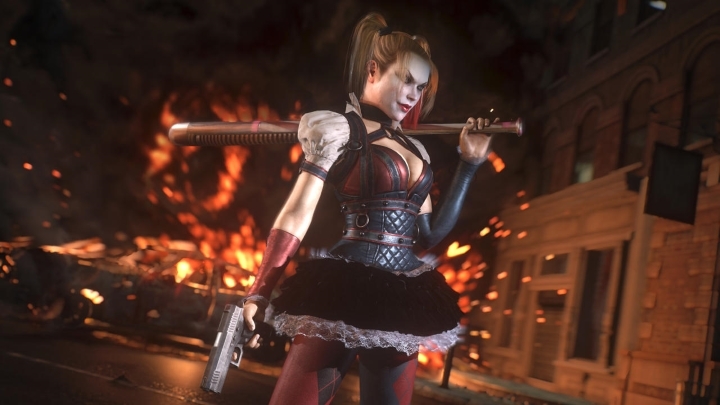 Also we can expect the game’s characters to be more detailed than in previous games, as Rocksteady has claimed that one character is as detailed as the entire environment of their first Batman game, Arkham Asylum.